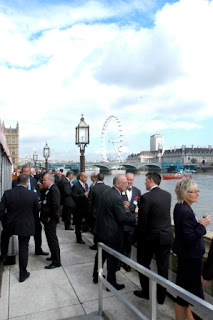 To the House of Lords and to a reception, hosted by Reed Elsevier. One of their titles, Computer Weekly, is beginning a campaign to get its more influential readers to support education and has chosen the UK Career Academy Foundation as its way of working with 16 – 19 year olds. The reception was aimed at the top 500 IT directors and attendance was excellent. It’s certainly exciting to find our work being picked up by others and being recognised as useful.